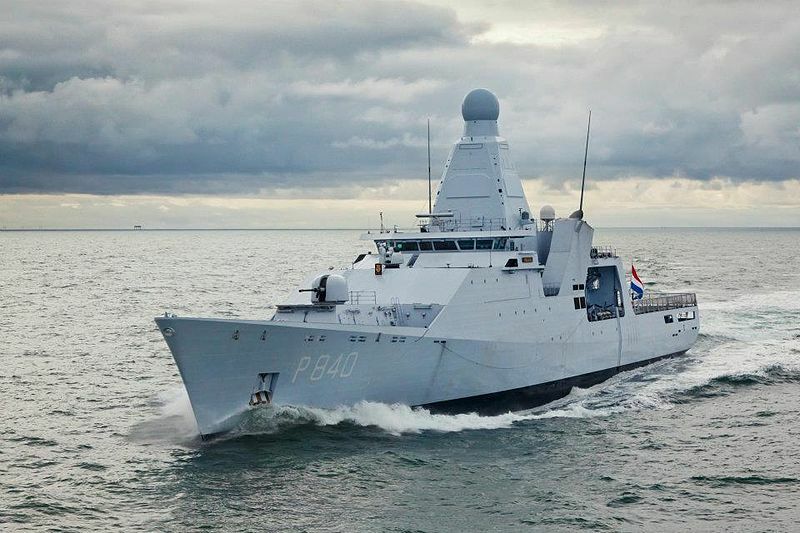 The Holland class are a new class of relatively large OPVs. At 3,750 tons full load they are sized between the Hamilton class and the Bertholfs. Zeeland was commissioned only last year. Deliveries of new NH90 NATO frigate helicopters to the Netherlands Navy have been delayed, this explains the need for a Coast Guard helicopter. This entry was posted in aircraft, International, News, Operations, Ships and tagged Counter Narcotics, Netherlands, Zeeland by Chuck Hill. Bookmark the permalink. I wouldn’t be surprised if the US Coast Guard is taking the Holland class OPV out for a Spin to see if they like this design. I suspect the US Coast Guard likes the Holand class OPV so much that this much be their top pick for their new OPV. Craig, I like it. CG Helo on a Royal Navy RFA (Royal Fleet Auxiliary, a primarily civilian manned ship). Unlike the Dutch they don’t have a reason for not providing their own helicopter, other than perhaps the fact that ours have more experience with this kind of use of force.